Shel: How do I love Karina Halle? Let me count the ways. 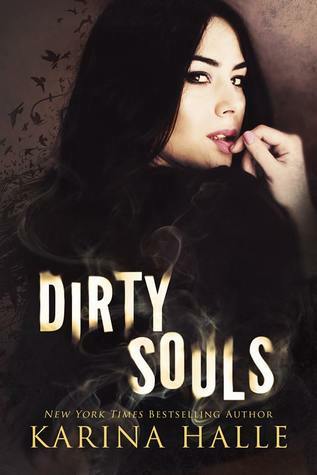 Actually, screw that, I don't have enough blog space to give you all of the reasons why she's a must read author for me and really what I want to do is freak out about Dirty Souls for a few minutes so I think that's what I'll do. Court: She is a must-read-immediately-upon-release author, and I absolutely love this insane world of drug cartels and insane love that she has given us. Shel: Karina Halle is fearless when it comes to the characters in this series and I seriously love her for it. I love that I never ever know who will be safe and who could be killed off. At one point I told Courtney that I had no doubt Halle would burn everyone and everything to the ground if it served a purpose and as much as I know she cares for her characters it's her ruthlessness that I've come to love when it comes to this series. I don't even care to try to delve into what it says about me that I love all the antihero action going on here because I do love it, every single page of it; Halle is definitely in my top 5 of people who write the best antiheroes. But it's not just the 'anti' that I love. I love how Halle doesn't shy away from letting her characters have just as much softness as they do harshness. 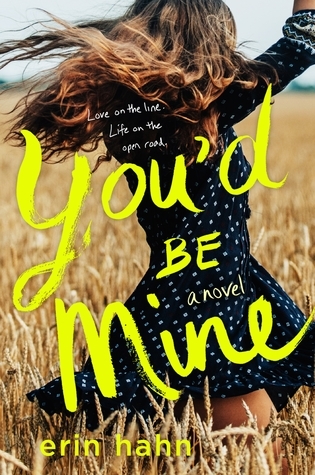 In this series, she creates complex characters whom we love, we love to hate, and we hate to love and wound up in all of that is heart racing emotion and action packed plot; this novel was tightly written, it didn't ever lag or slow down and everything seemed to be in its right place. As I was reading, I was practically breathless and that I had that wonderful anxiety of wanting to hurry up and finish so I knew how it ended while also trying to put the breaks on so I could enjoy the discovery of everything for a little bit longer. Court: They're real. And really intense, all the time. I love how Violet's psyche is so intense and she loves hard, and thinks and acts with every fiber of her being. From start to finish of this book, definitely this series and the other series you absolutely MUST read immediately...these people are so profoundly magical on the page. The plot is thick, the characters are deep and the pace is unrelenting. I love how Shel points out that antiheroes are our favorite...because who loves someone bright and shiny 100% of the time. I for one...can't take that, but I like when people surprise us in this book in a good way...and just about have a heart attack when they surprise me in a bad way...but I know for 100% that this book is not to be missed. Shel: This book is every thing I wanted it to be and I'm so glad we didn't have to wait for months to get back into the heads of Violet, Vincente, Ellie, and Javier. I'm even more thrilled for her note about her possible upcoming releases, so make sure you take a look at that and how to stay in the loop for what's coming from Karina Halle next. Court: I'm really, really thankful for that too so thank you Karina! We appreciate you for it, and just really am so glad that this story was in your mind to be told. I was nervous about how things would play out, and if the characters that I love who got their ending "twenty years ago" would keep it, so I'm really in love with how all of that backstory was intertwined in this one. Shel: Karina Halle, if you're reading this, know that I was desperate for this novel--I had to know what would happen--and you did not disappoint. Thank you for taking a chance by fast forwarding us to the story of Violet and Vincente and for being fearless in your approach to this series. Court: Don't have much for follow up to that, because it was perfect! But, like Shelley said we were desperate. We loved it. And we hope that if you're reading this, reader, buy it. NOW! Because we said so!